Mon., July 16, 2018, 11:02 p.m.
LAS VEGAS – Josh Hart scored 37 points and grabbed nine rebounds to lead the Los Angeles Lakers to a 112-109 double-overtime victory over the Cleveland Cavaliers on Monday in the semifinals of the NBA Summer League. Johnathan Williams (Gonzaga) started for the Lakers. He played 36 minutes with six rebounds and two blocked shots. Portland defeated Memphis 97-92 in the other semifinal. 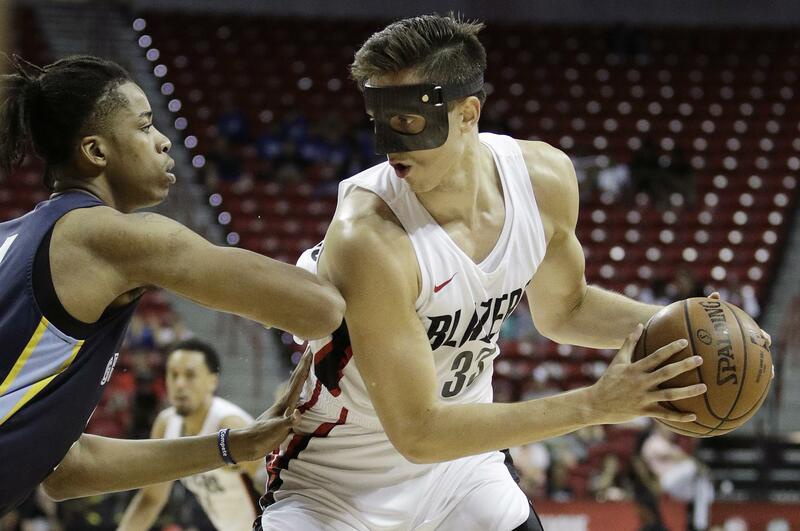 Zach Collins (Gonzaga) started and played 28 minutes for the Trail Blazers. In his best outing of the summer he had 13 points, 12 rebounds, two blocks and three assists. Published: July 16, 2018, 11:02 p.m.